Love Traveling Taiwan: Severe Weather Alert!!! If you plan to travel to Taiwan during, please check out this message for American Institute of Taiwan. The Taiwan Central Weather Bureau has issued an island-wide “Extremely Heavy Rain Advisory” with the central and southern regions of the island expected to be hardest hit. Heavy rains are expected to continue across Taiwan into the weekend. The Taipei City Government has announced closing of roads and businesses effective immediately. The strong possibility of flash flooding and landslides exist, especially in the mountainous central areas of the island. All American citizens in Taiwan are strongly advised to avoid unnecessary travel and to monitor local media outlets for the latest news and instructions. U.S. citizens traveling abroad should regularly monitor the U.S. Department of State's, Bureau of Consular Affairs’ website www.travel.state.gov, where the current Worldwide Caution, Travel Warnings, Travel Alerts, and Country Specific Information can be found. AIT also encourages U.S. citizens to review to "A Safe Trip Abroad," found at http://travel.state.gov/travel/tips/safety/safety_1747.html, which includes valuable security information for those both living and traveling abroad. In addition to information on the Internet, travelers may obtain up-to-date information on security conditions by calling 1-888-407-4747 toll-free in the U.S. and Canada, or outside the U.S. and Canada on a regular toll line at 1-202-501-4444. AIT encourages all U.S. citizens living or traveling in Taiwan, to register through the State Department’s travel registration website, https://travelregistration.state.gov/ibrs/ui/ Registration is a voluntary way of telling us that you are in Taiwan so that in the event of an emergency, we can reach you. This could include a family emergency in which relatives in the United States request that AIT contact you. The Consular Section of AIT’s Taipei and Kaohsiung Offices can be reached during regular business hours (M-F, 8 a.m. to 4:30 p.m.) by telephone at (02) 2162-2000 and (07) 238-7744; by fax at (02) 2162-2239 and (07) 238-5237; and by e-mail at amcit-ait-t@state.gov. After hours, in case of emergency, a duty officer can be reached by calling the AIT switchboard at (02) 2162-2000. The AIT Taipei office is located at No.7, Lane 134, Sec. 3, XinYi Rd., Da-an District, Taipei City 10659. The address for AIT Kaohsiung is: 5th Floor, No.2, ChungCheng 3rd Rd., Xin-Xing District, Kaohsiung City 80052. 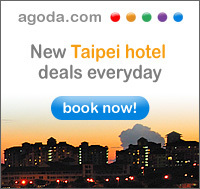 You also can check out from this link to see more information or flood situation in Taiwan. Earthquakes and Typhoons Strike(d) Taiwan!